Micellar Water: Does it really work? I’m fairly lucky with my skin, in that I’ve never suffered with acne, but I’ve never had blemish free skin, and often suffer with redness and the occasional spots. And as I’m on a personal mission to be as clear skinned as possible, I’m always trying the latest fads to see if they really work, and the most recent of course being Micellar Water. Though I’m not entirely sure of all the science behind it (if you want to find out, here’s an easy to understand explanation (http://www.labmuffin.com/2013/03/what-is-micellar-water-and-how-does-it-work/),essentially, it is just mild soapy water. Simple. Although it seems a bit of a con, from my experience it does actually work, and with most being affordable prices, it doesn’t seem any different to buying a bar of soap – which can cause irritation to the skin from scent’s, chemicals etc. 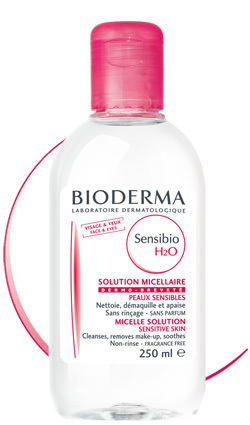 The first big Micellar water was by the French company Bioderma, and is still the leading Micellar product on the market, but with every good is a bad, and at a fairly high-end price range as well as quite hard to get hold of in the UK, it doesn’t seem all that worth it with other high street alternatives offering the exact same thing for a fraction of the price. So after using Bioderma for over a month (with a small bottle) I joined the hype and was in awe of how much it worked. Though I wasn’t really sure if I was willing to spend £15 every time. So I tried some more high street products, of some of the brands I’m used to using for skin care. 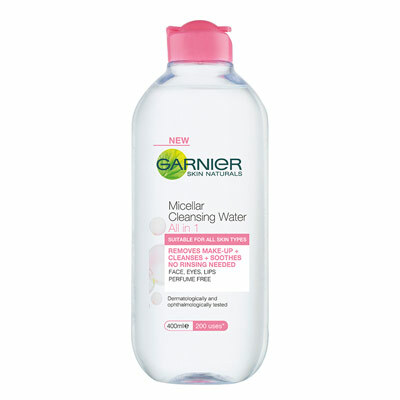 Garnier’s Micellar water has so far been the stand out of all that, without rambling on about all the others I tried – the long and short of it was just I didn’t like them. But not only did Garnier’s require less of the water therefore lasting me so much longer, it made such a quick noticeable difference! I had results in about 4-5 days, and with continuous use it makes my skin so much softer and visible clearer (less redness in my case) and with it being £3.30 for a bottle that lasted me 3 months, I can’t see too much of a fault in that!